LOS ANGELES (CN) – The federal government properly decided to terminate a “no-otter zone” along the southern California coast, a federal judge ruled, tossing out a challenge by California’s shellfish industry. Congress intended agencies to have flexibility when enacting programs and ending them if they are no longer useful, U.S District Judge Dolly Gee reasoned in her ruling. Here, the statute indicates that Congress knowingly gave the Fish and Wildlife Service wide discretion in establishing the otter management zone while requiring it to remove any otters that got inside in a non-lethal fashion, the ruling states. “It appears that Congress wanted the FWS to make reasonable efforts to contain the experimental population (if one was established), but intended the agency to have wide discretion in deciding what efforts were feasible and consistent with the recovery of the species. Such discretion was to be constrained, not by congressional fiat, but by the requirement that FWS proceed by ‘rulemaking,’ subject to traditional administrative protections against arbitrary or capricious rulemaking,” Gee wrote in her 14-page order, published earlier this month. 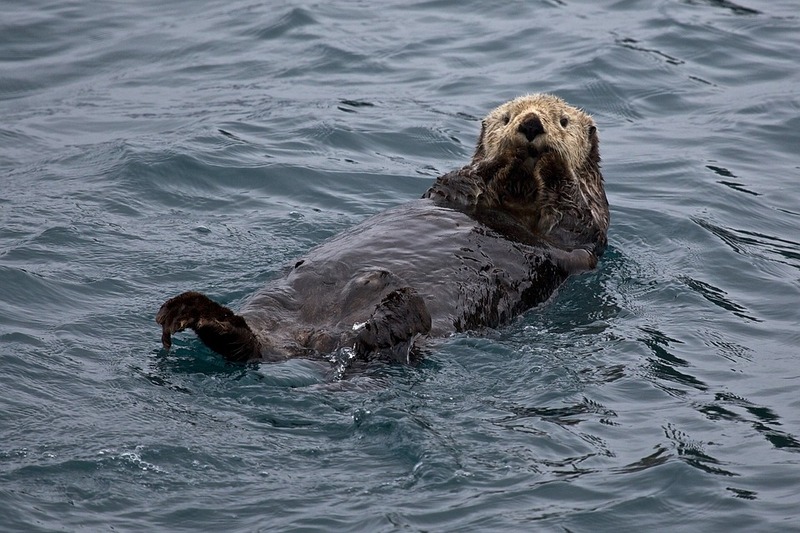 “Public Law 99-625 authorized the Fish and Wildlife Service to expand sea otter populations only if it maintained a management zone where lawful fishing activities are exempt from the Endangered Species and Marine Mammal Protection Acts,” she said in an email. “Without the management zone, the fishermen are at constant risk of fines, imprisonment, and lawsuits if they accidentally come too close to a sea otter.” (emphasis in original). “Not only is this [ruling] unfaithful to the text and purpose of the statute, but it is unfair to the fishermen who earn their livelihoods in southern California’s waters and rely on the management zone protections,” she added. The U.S. Fish and Wildlife Service started the sea otter translocation program in 1987 by introducing 140 otters to San Nicholas Island. The program also established an otter-free zone south of Point Conception in Santa Barbara County, where commercial fishers harvest abalone, sea urchin, and lobster. Under the program, fishers who accidentally killed sea otters could not be federally prosecuted, and the government had to use non-lethal means to trap and remove any otter that wandered into the area. Native to the coasts of the northern and eastern North Pacific Ocean, sea otters are the largest members of the weasel family, weighing between 31 to 99 lbs. They prey mostly on invertebrates such as mollusks, crustaceans, and sea urchins, as well as some species of fish. They use rocks to crack open the hard shells of their prey, making them one of the few animal species known to use tools. Once found abundantly throughout their range, otters were hunted extensively for their fur and their numbers at one point numbered less than 2,000 worldwide. Thanks to conservation efforts, otters have recovered in about two-thirds of their range, though they are still listed as endangered due to threats from poaching and conflicts with fisheries. Under mounting pressure from environmentalists, who claimed the otter relocation program was a sellout to the oil and fishing industries, the government terminated the program in December 2012. Months later, four fishing companies challenged that decision in court, arguing that ending the “no-otter zone” would harm, if not destroy, shellfish and other marine fisheries on the southern coast. In March 2014, Judge Gee dismissed the groups’ lawsuit as untimely because the regulation enacting the program dated back to 1987. During oral arguments before the Ninth Circuit, the groups’ attorneys claimed their clients could not have filed suit in 1987 because they suffered no injury until the government decided to terminate the program in 2012. That was a final agency action, they argued, which gave their clients six years to challenge it. In her most recent ruling, Judge Gee acknowledged that terminating the otter-free zone may indeed harm the fishing industry’s ability to sustain viable fisheries along the coast, thus giving the groups standing to bring their case. Nevertheless, she sided with the government, finding that it had statutory authority to terminate the plan at its discretion. Plaintiffs include the California Sea Urchin Commission, California Abalone Association, California Lobster and Trap Fishermen’s Association and Commercial Fishermen of Santa Barbara. Alison Finnegan of Washington, D.C. represented the government defendants. She did not return emailed requests for comment sent Tuesday morning.